I have known Nico(Nicole) for about 10(?) years(is that possible) now and David for almost as long. They are partners in crime, a perfect match, nerds, dog(and cat) lovers, and all around awesome people that I am honored to call my friends. 2 years back, Nicole stomped me at a Star Realms Tournament at GenCon and it's only fitting that we included a little bit of the card game in their engagement session. I at least had the good sense to stay out of the game to avoid further embarrassment from either party. I am so very excited to share their amazing engagement session with you all. We went to Flat12 Bierwerks near downtown Indianapolis and they even got to bring their giant sweet pup, Simon. I had so much fun with these three and the rest of the crew that came for moral support and dog containment. 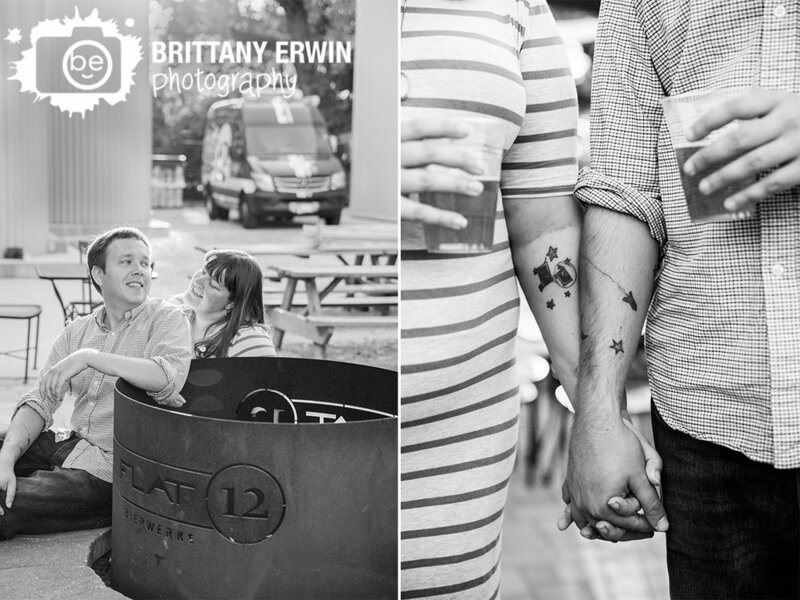 :) Here are a few favorites from our dog, beer and nerd extravaganza engagement session!